Ovid (Met. 4:665-739) tells how Andromeda, daughter of an Ethiopian king, was chained to a rock by the sea-shore as a sacrifice to a sea-monster. 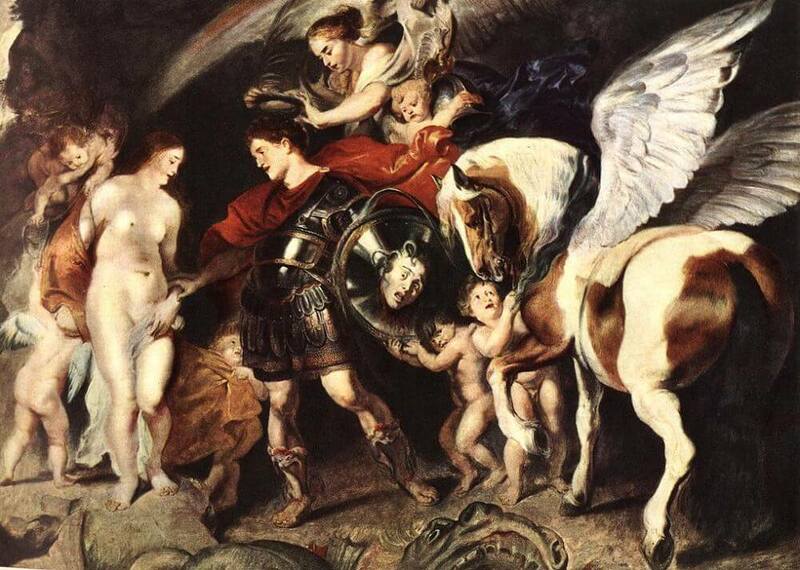 Perseus, the son of Zeus and Danae, flying overhead, fell in love at first sight. He swooped down just in time, slew the monster and released Andromeda. He is shown, sword and shield in hand, hovering in the air near the girl. The monster approaches through the waves. The anguished parents and other onlookers stand on the shore.